See the magnificent Southern Right whales in their winter breeding grounds off the cliffs of Hermanus. 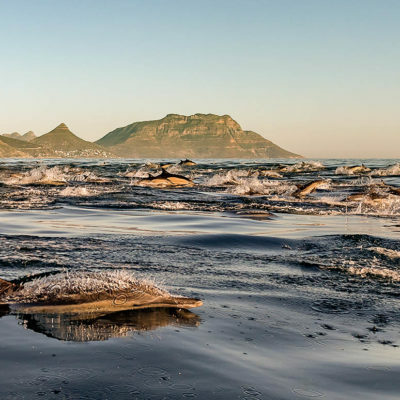 Get up close in a whale watching boat and enjoy the scenic coastal towns and surrounds on your drive from Cape Town with inclusive activities along the way. Leaving Cape Town, we follow the scenic coastal road of Clarens Drive from Gordons Bay, which offers spectacular views of False Bay before meandering along past the seaside towns of Pringle Bay, Betty’s Bay and Kleinmond to Hermanus. Along the route we stop in at Harold Porter Botanical Gardens and drive through Hamilton Russel Wine Estate (except Sundays) before heading on to Hermanus. There we have the option of joining a boat-based whale watching excursion. This one and a half hour sea-based whale trip takes you close to the giant Southern Right whales that arrive here to mate and calve. If you don’t have sea legs then watching from the overlooking cliffs and following the whale crier is just as impressive. 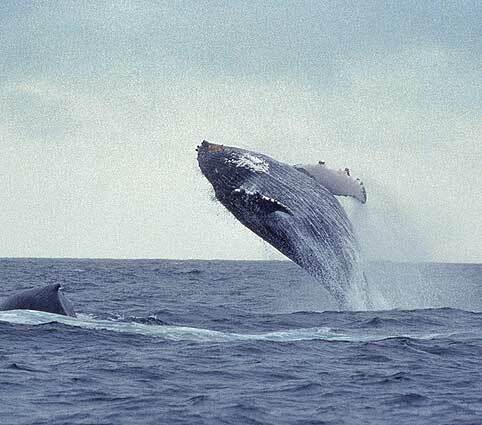 Hermanus boasts the reputation as one of the worlds best land-based whale watching sites and you can often see whales breaching right out the water during the whale season! Unbelievable but true. For the rest of the time guests can take in the quaint seaside town of Hermanus with its boutique shops and excellent restaurants. On the way back to Cape Town, we stop in at Elgin apple farming district and return over Sir Lowry’s Mountain Pass. This tour operates during the Whale Season from August to November only. There is no guarantee that whales will be sighted although our guides make every effort to find the best viewing point. This tour only runs between August and November (whale season).